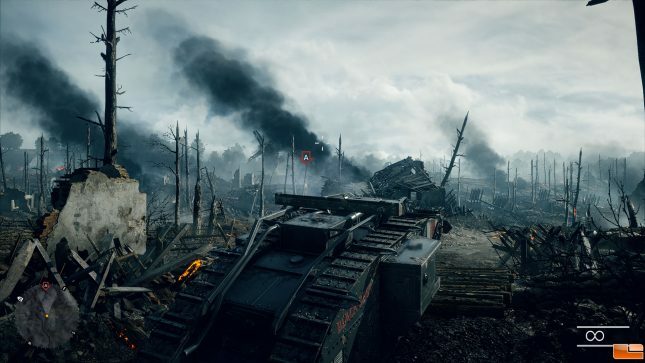 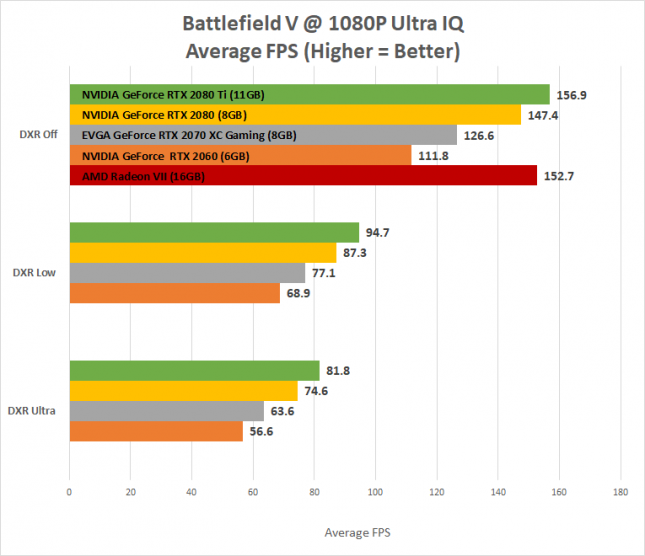 We tested BF1 with the ‘Ultra’ graphics quality preset in DX12 with the GPU Memory Restriction turned off. 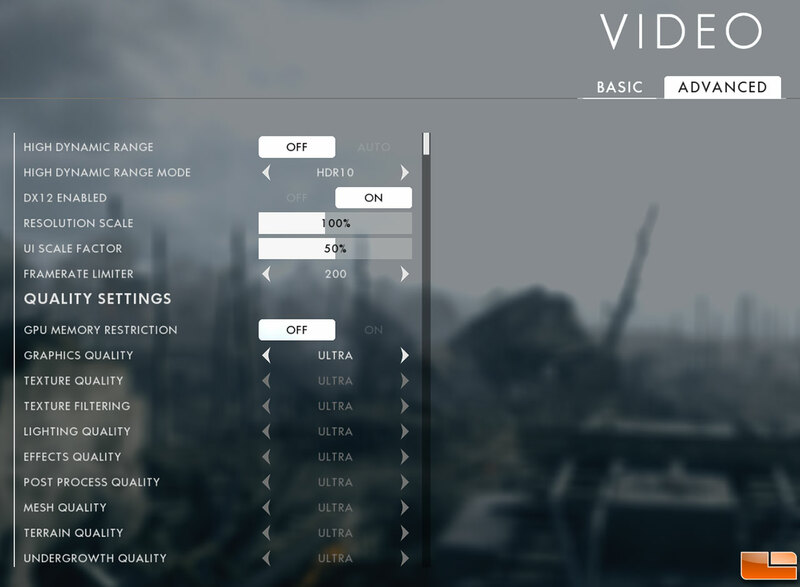 We also disabled VSync. 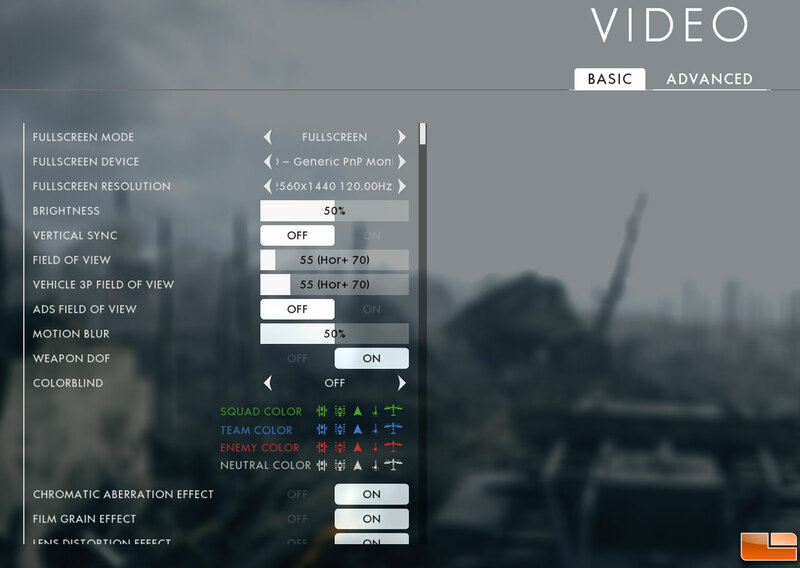 FRAPS was used to manually record the frame rate in a repeatable section of the campaign. 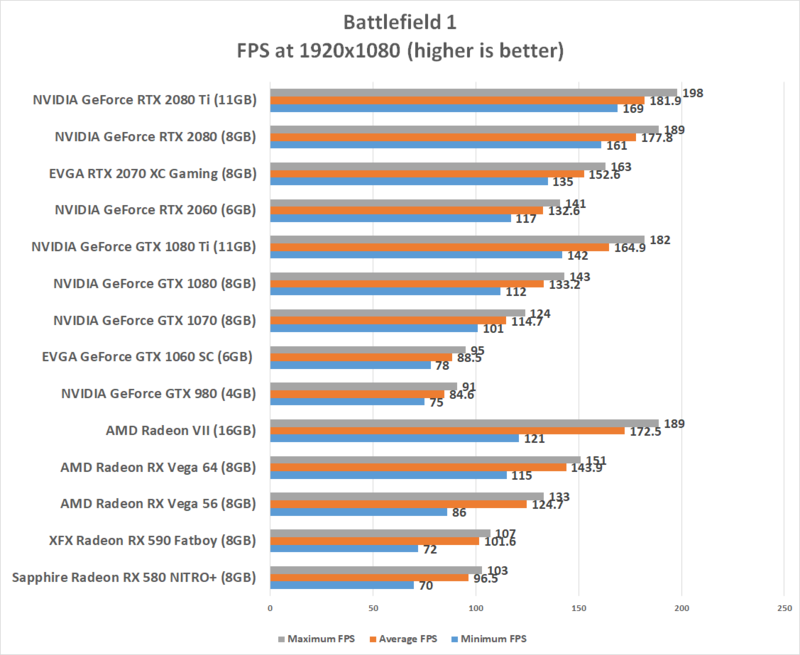 Benchmark Results: Right off the bat we see the AMD Radeon VII is significant faster than the AMD Radeon RX Vega 64 air cooled card and is performing between the GeForce RTX 2070 and RTX 2080 cards at 1080P. 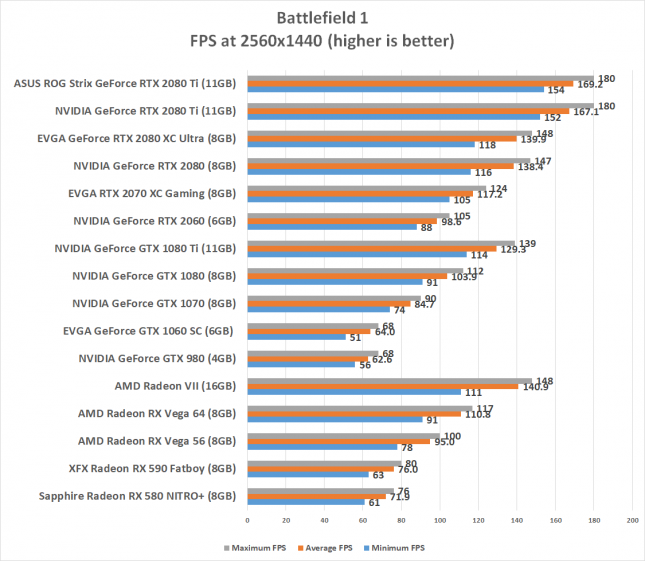 This is pretty impressive to see AMD back on the performance charts and competitive with some of the top NVIDIA models. 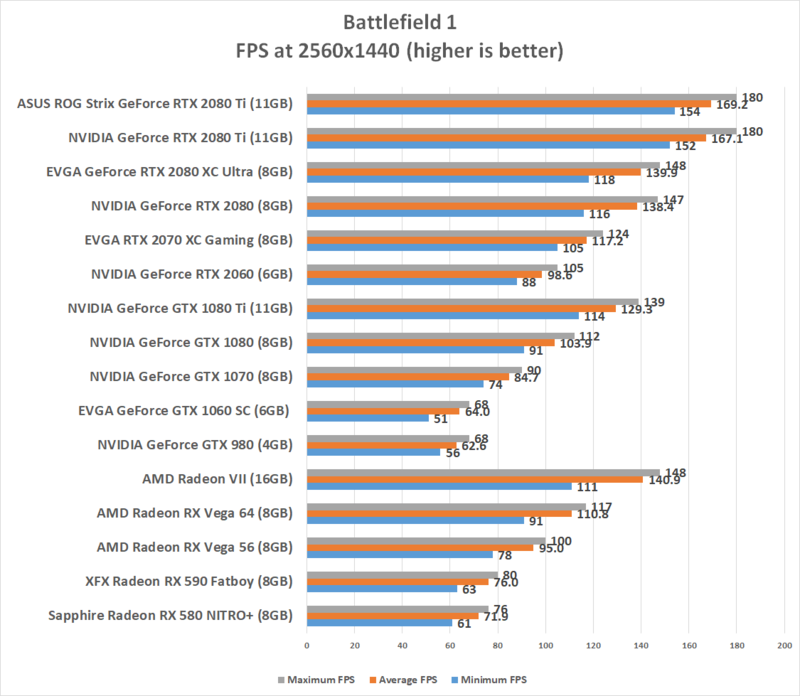 At 4K the Radeon VII was 32% faster than Vega 64 and 3% faster than the NVIDIA GeForce RTX 2080 Founders Edition card. 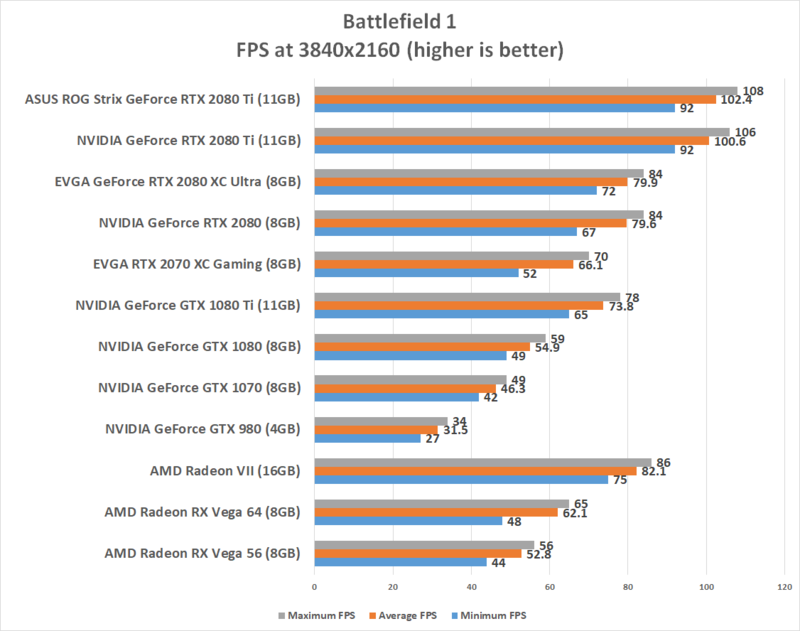 We don’t have all the cards tested in Battlefield V since we’ve mostly tested that game title for ray tracing only, but the AMD Radeon VII does really well in that benchmark. 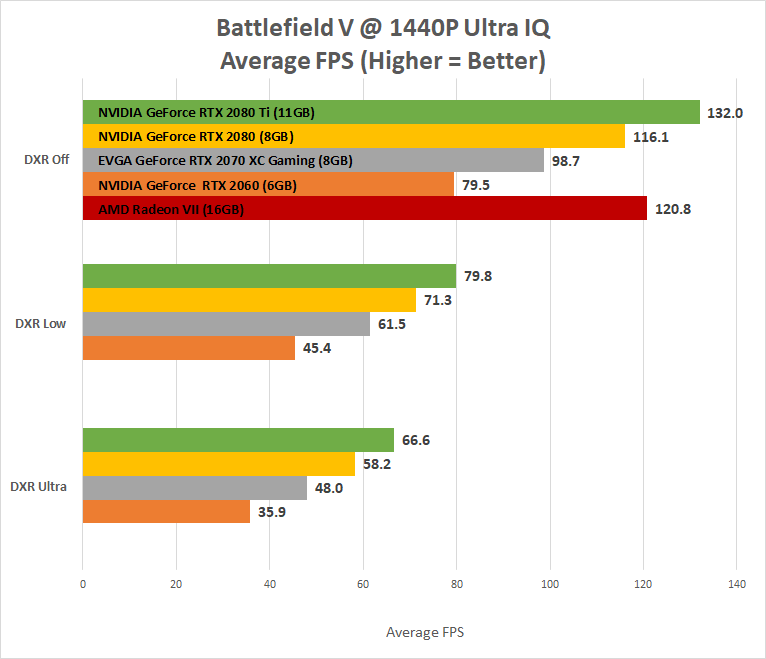 It actually beats the RTX 2080 on the part of the map that we test with FRAPS with Ultra image quality settings. Super impressive scores at 1080P and 1400P display settings.